Coach Khyl Farrison is teaching two students a wrestling move called the ‘cradle.’ Its name refers to the move’s similarity to the way a person holds an infant in their arms. In that way, the cradled wrestler finds it difficult to escape. Wrestling puts kids in situations where they have to dig in and fight to reap the rewards. There are incredible feelings of satisfaction when getting their hands raised after winning hard fought matches. Wrestling uses every part of the body and is one of the toughest sports to train and compete in. “I took seven kids to their first wrestling tournament, four took first and the others took second,” said Coach Khyl Farrison of the Nanuet-based Farrison Wrestling Academy told the Rockland County Times. “The beautiful thing was that the best compliment I got from the other parents was that ‘your kids really work hard.’ That’s what I want the kids to be known for. Wins will come and so will the losses, but I preach to the kids to work hard and good things will happen. The 37-year-old Farrison was a three-sport athlete and amassed a wrestling record of 157-29 at Suffern High School under the guidance of the late Mickey DeSimone. In recognition of these achievements, he was a three-time Section 1 Champion, winning Most Valuable Wrestler twice and finished second, third and fifth in the New York State Wrestling Championships. He’s a member of the Section 1 Wrestling Hall of Fame and was named All-County in football and baseball. After holding coaching positions at the University of Alabama at Birmingham, Yale University, Manhattanville College, Iona College and Seton Hall University, Farrison returned to Rockland County to pursue a career in law enforcement as a Corrections Officer with the Rockland Count Sherriff’s Department and begin his dream of establishing a wrestling school. Some kids find success early, but many will lose more matches than they win. Many of the greatest wrestlers started out losing their first few seasons. It can take a couple of years before it finally clicks, but when it does, it’s one of the greatest moments to observe. The lights come on, their confidence commences and they start beating opponents they have lost to several times. 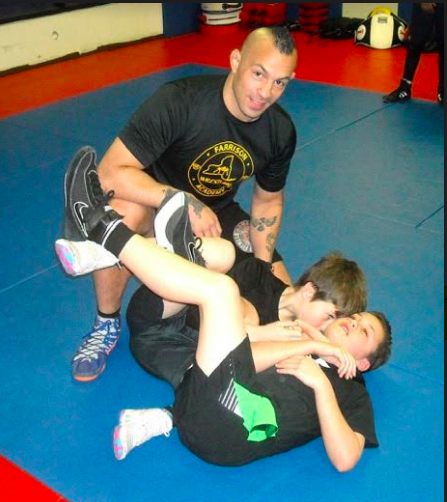 For additional information about the Farrison Wrestling Academy, visit khyl@nyunitedbjj.org or call 845-499-6893.